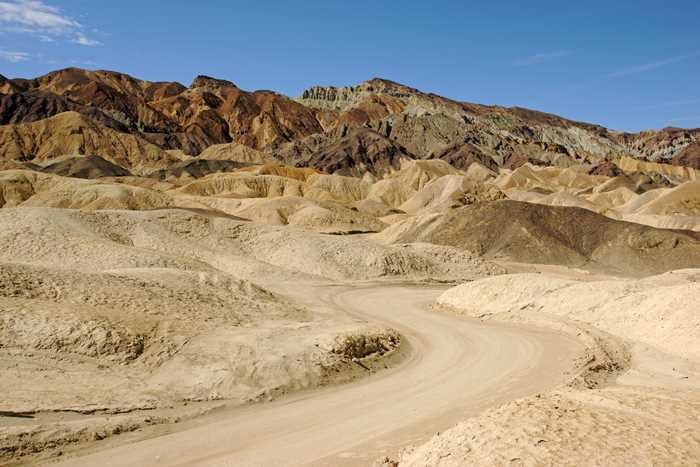 You’ll find some of the best badlands in Death Valley National Park on a short detour through Twenty Mule Team Canyon. This short drive runs alongside the paved Route 190, but it’s a world away, as it twists through some beautifully sculpted and eroded landscapes. 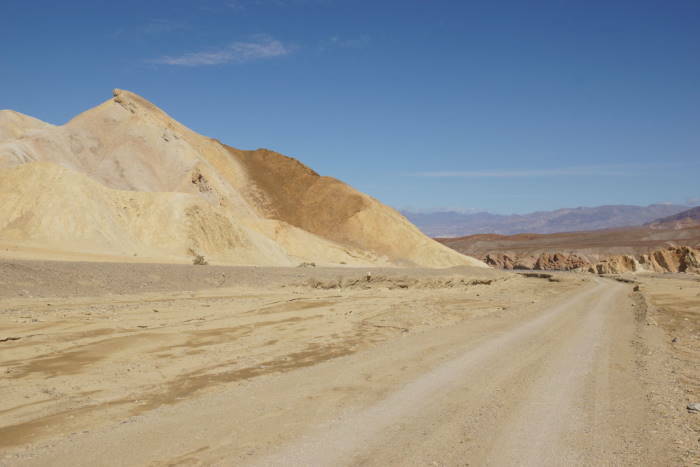 Twenty Mule Team Canyon is located on California Highway 190, southeast of the junction with Badwater Road, just beyond Zabriskie Point. The road through the canyon is one-way, eastbound. … sculpted over millennia by rare rainstorms. The drive gives you the chance to take a few of those pictures where a serpentine road disappears into a mountainous landscape. Everyone back home will think you’ve really gotten off the beaten path. But in less than three miles, you’re back on the pavement again. Want to see more? There are slot canyons and old mining shafts scattered throughout Twenty Mule Team Canyon. You can park your car wherever there’s a wide spot in the road and do some exploring. Climbing up to the top of one of those small hills is a sure way to get a great picture of the canyon! Twenty Mule Team Canyon Road is a dirt road, but it’s well-maintained and smooth, so it shouldn’t present a challenge for anyone in a regular vehicle. RV’s or vehicles towing a camper should avoid this road because of the numerous sharp turns. 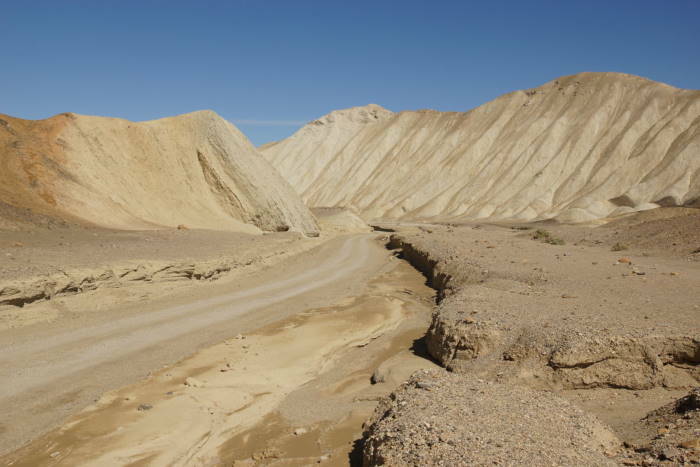 It only takes a few minutes to drive through Twenty Mule Team Canyon, and it’s located near Zabriskie Point (one of the most popular viewpoints in the park), so why wouldn’t you check it out?